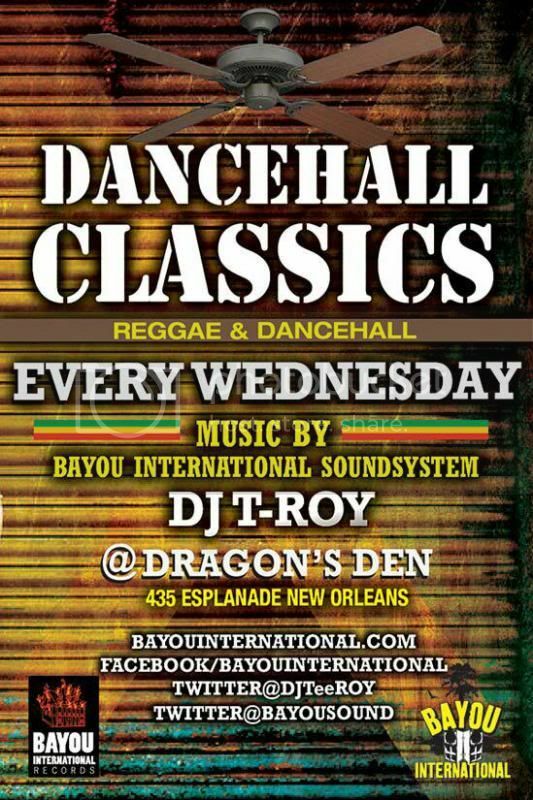 Strictly the best in Classic & Modern Reggae & Dancehall w/ DJ T-Roy, Belizaire & Bayou International Soundsystem!! BOOM! Drink specials in effect. Have beres Hammond Coming to your Area Sept 2012.